Synonymous with inner peace and healing, this stunning crystal suggests you may find yourself feeling very vulnerable this week. Painful memories from the past and hurtful comments from friends or family members may leave you feeling very tearful, and there could be a heated exchange between you and an ex partner too. Protect yourself from their spiteful words and negativity - and bathe your heart in love and serenity - by holding a Mangano Calcite by your heart, or placing one by a photo of yourself as a child. This enchanting crystal has bewitched the world with its beauty for centuries, and is thought to be one of Kate Hudson’s favourite crystals. Symbolising unconditional love and acceptance, it suggests you could find yourself feeling slightly rejected by someone around you this week. Thoughtless comments from friends, partners and loved ones may leave you feeling very insecure, and you may find yourself questioning someone’s loyalty too. Thought to lovingly heal our pain and sadness - and help us leave the past behind us - this captivating crystal suggests you may need to forgive someone for their past mistakes this week. Heartfelt messages from friends, ex partners and estranged family members may leave you feeling very emotional, and someone from the past could re-enter your life too. Leave the past behind you - and heal the bonds around you - by holding a Rhodonite by your heart. 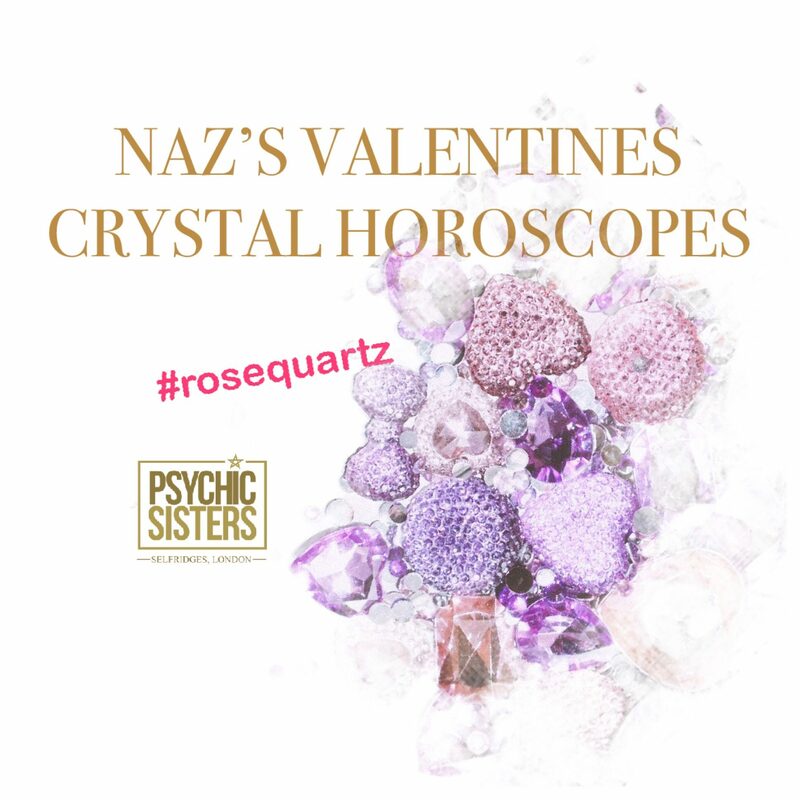 Like the beautiful animal it’s named after - which is renowned for its pride and independence - this captivating crystal suggests you may find yourself feeling very frustrated with a friend or family member’s needy behaviour this week. Attention-seeking antics from colleagues and loved ones may leave you feeling very irritable, and someone’s constant paranoia could really test your patience too. Prevent their neediness from affecting your happiness by keeping a Cat’s Eye nearby. Symbolising strength, courage and bravery, this powerful crystal suggests you may need to distance yourself from a toxic person around you this week. Late-night messages from ex-partners and self-involved friends may leave you feeling very used, and someone’s hot and cold behaviour could really unsettle you too. Calm your heart and mind - and leave your worries behind - by holding a Hematite in your palm, or keeping one in your home or work place. Known as a stone of protection, this mesmerising crystal suggests you may find yourself feeling very wary of someone around you this week. Snake-y behaviour from friends, colleagues and family members may leave you feeling very unsettled, and you could see a darker side to someone around you too. Prevent their lies and deceit from making you weep by placing a Snakeskin Agate by your front door or window, or keeping one with you each day. This stunning crystal is thought to help with everything - from attracting money and boosting your energy, to lifting your mood and protecting your family. Synonymous with love and forgiveness, it suggests there could be an emotional reunion between you and someone from the past this week. Deep and meaningful heart to hearts with friends, partners and estranged family members may leave you feeling very tearful, and someone could surprise you with a very thoughtful gesture too. Thought to gently calm the body and mind - and help us leave our troubles behind - this beautiful crystal suggests there could be a fiery exchange between you and a colleague or family member this week. Unreasonable demands from bosses and loved ones may leave you feeling very frustrated, and you may need to distance yourself from a very draining environment too. Protect yourself from the negativity around you - and keep calm when others provoke you - by keeping a Blue Lace Agate nearby. Prized for centuries, this beautiful crystal has captivated people’s hearts and minds since the late 18th century, and is often referred to as ‘the cheerleader for the soul’. Symbolising money, confidence and success, it suggests there could be an exciting opportunity for you to boost your finances this week. Unexpected messages from old bosses and ex-colleagues can definitely be expected, and a friend or loved one could surprise you with a very generous gift too. Often referred to as the ‘stone of happiness’, this enchanting crystal suggests you may find yourself feeling very inspired by a positive person around you this week. Empowering conversations with friends, family members and colleagues may leave you feeling very inspired, and someone’s kind words and faith in you could really touch your heart too. Celebrate the love around you - and nurture the joy within you - by keeping a Crazy Lace Agate nearby. Enchanting the world with its beauty for centuries, this mesmerising crystal suggests you may find yourself feeling slightly worried about a female friend or loved one this week. Disturbing behaviour from colleagues and family members may leave you feeling slightly anxious, and someone’s constant need for your attention could really test your patience too. Prevent the chaos around you from affecting the peace within you by keeping a Pearl nearby.